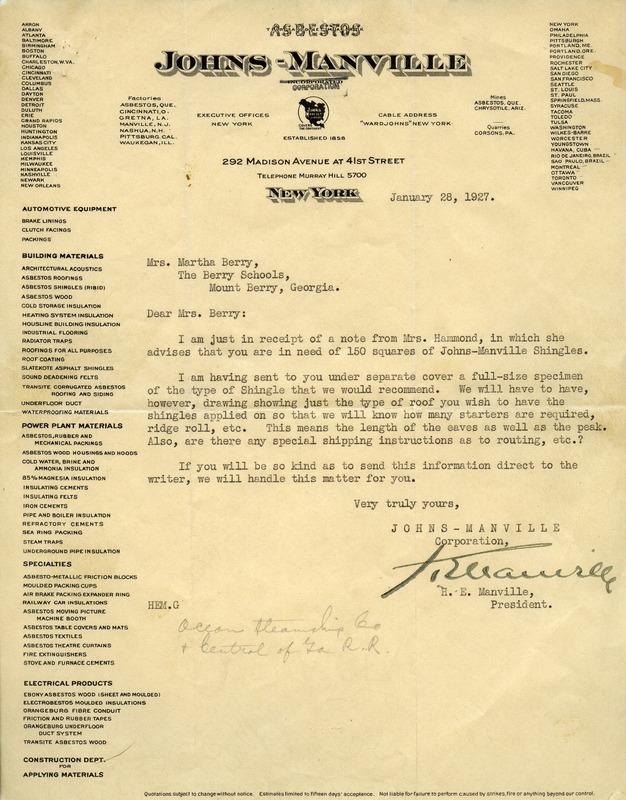 A letter detailing Manville's request for Martha Berry to provide more information on the exact requirements of the shingles she is in need of. H. E. Manville, “Letter to Martha Berry from H.E. Manville.” Martha Berry Digital Archive. Eds. Schlitz, Stephanie A., Olivia Mund, Cameron Atwood, et al. Mount Berry: Berry College, 2012. accessed April 25, 2019, https://mbda.berry.edu/items/show/4997.